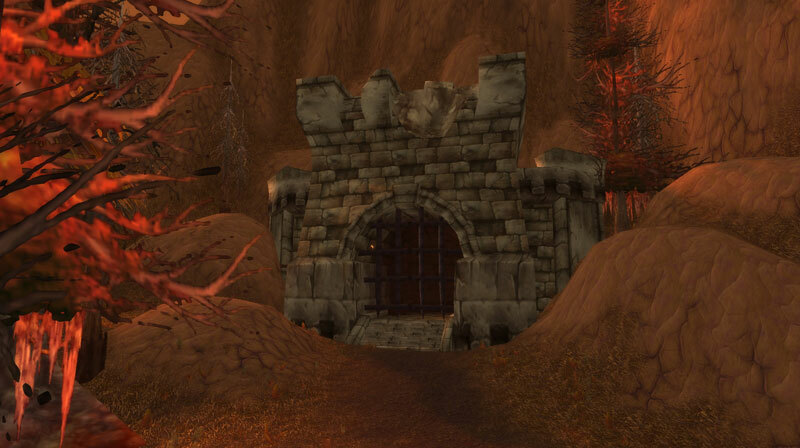 You can find the Stratholme Service dungeon entrance within Eastern Plaguelands, Eastern Kingdoms. /i Silences all nearby for 6 sec. Curses all nearby for 12 sec. Banshee Wail inflicts shadow damage to current target. Possess controls a player, reduce their health to 50% to free them. /i Encasing Webs roots player. Undead Scarabs poison players. 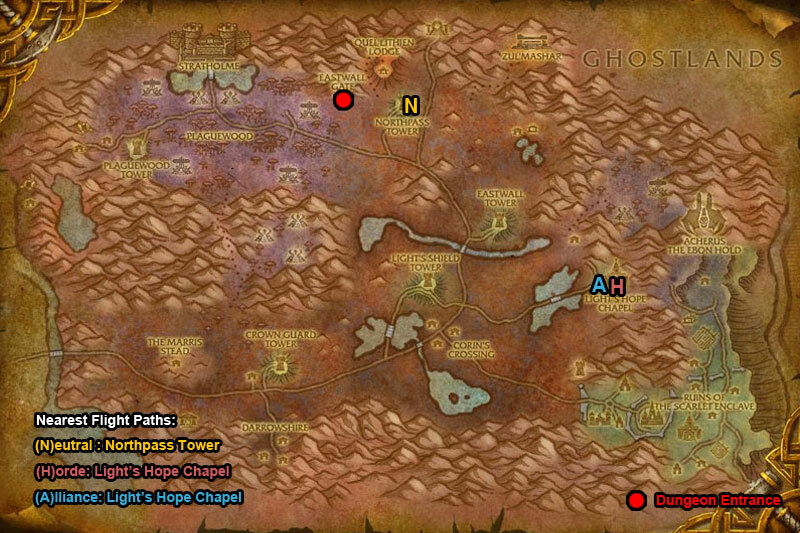 Crypt Scarabs sends scarabs to attack bosses current target. /i Uses Frost Bolt. Ice Tomb freezes current target, this stuns. Drain Life inflicts shadow damage & heals boss. During Frost Armor use spell casting as melee is slowed. /i Enrages increasing damage & speed, this stacks. Inflicts physical damage & knock backs. Draining Blow inflicts shadow damage & heals boss. /i Knocks back current target & stuns. 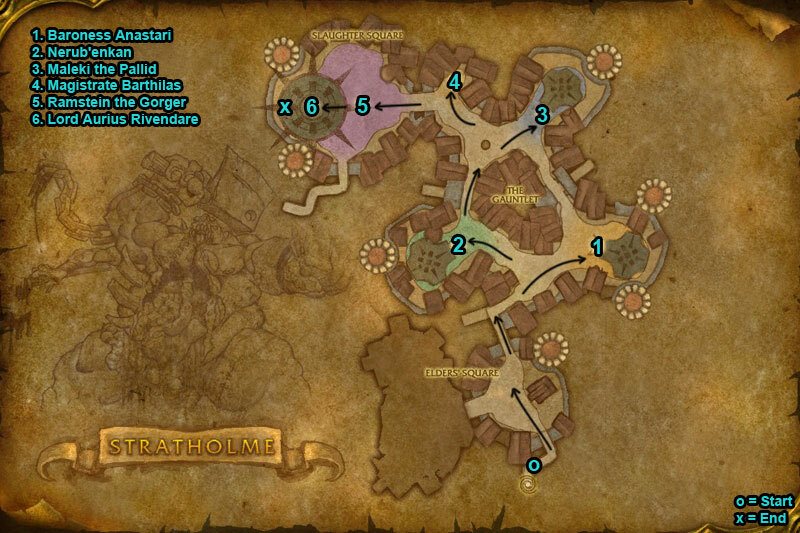 All nearby players take physical damage during Trample. /i Deals physical & shadow damage to players. Aoe the Mindless Skeletons. Heals himself with any remaining Mindless Skeletons after 12 sec.